In an ideal world, it would be easy to print from a Windows system to a printer on your network. Unfortunately, networked printers and Windows devices don’t always work as you might expect. Here are several things to try when you can’t print from your Windows laptop or desktop to a printer on your network. Since the problem may be with the printer, the network, or the Windows device, we’ll cover troubleshooting steps for each of these three systems. Turn your printer off, wait a minute, then turn it back on. Then try to print. Restart your Windows system: turn it off, wait a minute, then turn it back on. Make sure to wait for the system to finish the boot process completely. Sometimes you’ll also need to wait for your Windows system to install updates. Often, the combination of restarting the printer and your Windows system will resolve odd connection issues. Need more help restarting devices? See How to Restart Anything. If a restart of devices didn’t resolve things, the next thing to try is to update software. Check your printer manufacturer’s instructions to learn how to update your printer’s firmware. On the printer, look through the menu options for a way to update the device. Download any newer version of the printer’s firmware detected and install it. This process may require a reboot of the printer. Once you know the address of the printer, type the address of the printer in your browser. This should take you to the printer’s administrative management page. You may need to sign-in to manage the printer settings. (Check your device’s documentation for sign-in instructions.) Once signed in, look through the menus for an option to update firmware. Download and install any available updates. If prompted, allow the system to restart. Repeat the process until you see a message that says no updates are available. Then, test printing. Update your printer drivers in Windows. In most cases, you can find the most recent drivers for your device at the manufacturer’s website. Brother, Canon, Epson, and HP, for example, all provide device drivers online. Locate your manufacturer’s site, then look for the latest software and drivers for your printer model. Driver update software may require you to remove existing drivers, so be prepared for a possible system restart as part of that process. Printer drivers work alongside your system software. If you upgrade from one version of Windows to another (e.g., from Windows 7 to Windows 10), you may need to install new printer drivers. Additionally, some manufacturers periodically release updates that fix problems, improve performance, or enhance security. See How to Update Drivers in Windows for step-by-step instructions. Update your router's firmware to fix various connection problems with specific devices. Typically, you will sign-in to your router’s administration page, then check for (and install) firmware updates. See your router’s instructions on how to update firmware. In many cases, you can access the router administration page by entering your router’s network address in a browser. After you've updated your devices, try again to print. If restarting and updating devices don’t fix your network printer problem, you may need to adjust specific settings to get things working again. If possible, configure your router to assign a static IP address to your printer. This ensures that your printer can always be found at a specific address. Without this configuration, it is possible that your printer’s address could change after a restart. In most cases, from your router’s administrator page, you can find your printer on a list of devices currently on your network, then adjust a setting to always assign the device a specific IP address. You also might enable universal plug and play settings on your router. Again, this will be a setting in your router’s administrative settings. Most often, this is a simple checkbox option that is either enabled or not. 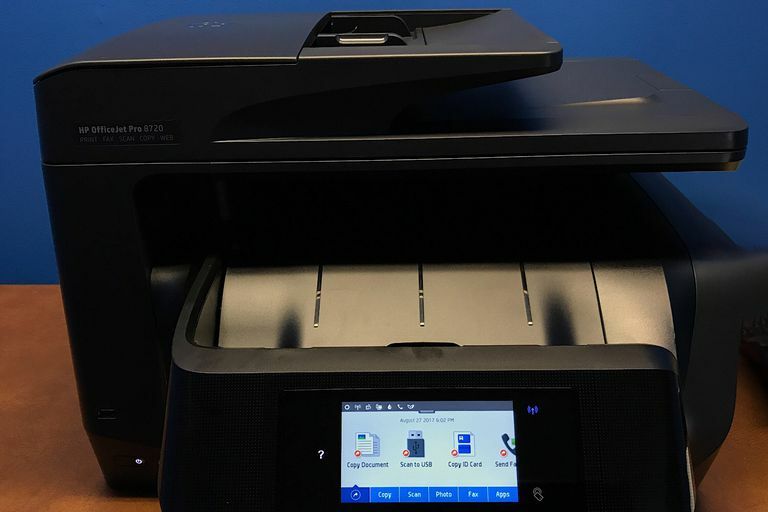 With plug and play enabled, your printer and Windows system may more easily connect over your network. On your home network, connect to your Wi-Fi network and configure it as a “private” network in Windows. This will may it easier for devices on the network, such as your printer and Windows system, to “see” each other. Follow the steps at Connect to a Wireless Network Using Windows and choose “private network” to make network devices more discoverable. This setting may help because Windows classifies each connected network as either a public or private network. When you connect to a public network, Windows protects your device and allows fewer types of network connections. When you connect to a private network, Windows allows more access, since the system presumes that you have knowledge and control over the various devices on the network. After restarting, updating, and configuring your devices you should be able to once again print from your Windows system to your network printer! Happy printing!